TAS is participating in the Valley-wide Shabbat in the Park on Friday, August 14, and as part of our participation TAS needs to send 2 or 3 volunteers to help with set up, activities, parking assistance, greeters, and clean up. Would any of the Men of TAS be available to volunteer? If so, please drop a note or contact Rabbi Shawna — she needs the names as soon as possible because we must turn in the names by August 1. Rabbi Shawna turned to MoTAS first because she knows that the men who participate are also most likely to step up and volunteer in the community and are great representatives of TAS. If you are not familiar with Shabbat in the Park, more information may be found at http://patch.com/california/woodlandhills/shabbat-park. “Jews with Tools” may sound incongruous, but it is vital to Temple Ahavat Shalom. Please join MoTAS on Sunday, August 16th at 9:00 AM for the ECEC Clean Up Day. MoTAS will be on hand to provide small repairs and other touch-ups, so please bring basic tools and repair supplies, and be ready to help the ECEC. Last year, we helped clean and repair bookshelves, ensured all electrical outlets had covers, appropriately secured electrical cords, and provided other safety repairs. In addition to these small repairs, we will be obtaining a list from the ECEC of specific needs and communicating it before the event in the MoTAS Weekly. In August, we’re continuing a new tradition with our August Concert in the Park. This is a family event. We invite you to bring your family and join MoTAS for a picnic and concert in the park on Sunday, August 9. We’ll be meeting at Warner Park for the Concerts in the Park series; the artist that night will be Super Diamond, a Neil Diamond tribute band. This is another informal event. You’ll bring your blankets and food. We’ll attempt to coordinate a meeting space and bring the MoTAS banner. We’ll join together under the summer sun in what passes for fresh air in Woodland Hills to listen to wonderful music that all ages can enjoy. We hope you’ll join us. You can RSVP online at http://tinyurl.com/2015-motas-concert. There is no charge, other than what VCC charges for parking. During the month of August, the MoTAS Leadership will be putting in place the speakers program for 2015-2016. If you are not familiar with our speakers program, this is what is otherwise known as the “MoTAS Monthly Meeting.” In addition to our wonderful breakfast prepared and procured by Steve Zonis, Scott Yollis, Mike Thornhill, and Bob Levine, we usually have a speaker of broad interest. Topics have ranged from temple operations to composting, from the Jewish history of Los Angeles to the probation system. If you haven’t attended our meeting to hear a speaker, you should give it a try. Anyone who is a member of MoTAS (and that means every man in the congregation) is welcome to attend; we often have non-members join us for the speaker as well. Our speaker meetings are typically the second Sunday of the month (unless shifted due to a conflict – thus our first meeting is Sunday September 20 due to Rosh Hashanah). Breakfast is at 8:45am followed by a review of upcoming activities; our speaker starts between 9:45am and 10:00am. Now that you know what the speakers program is, you can help us plan it. If you have any suggestions for topics you would like to have discussed, or have specific speakers you think we should approach, please let us know. Drop a note to president@tasnorthridge-motas.org, or comment on our blog post at https://wp.tasnorthridge-motas.org/2015/07/19/speaking-out/. In order for the program to be interesting to all the men of TAS, we really need to know what interests all the men (and not just the leadership). Our second Shabbabaque of the summer will be extra special, as we’ll be kicking off the 50th anniversary celebration of the merger of North Valley Reform and Temple Beth Torah of San Fernando Valley to create Temple Ahavat Shalom in 1965. In commemoration, the August Shabbabaque will be celebrating all things sixties. So come out in your best sixties duds with your best sixties moves to celebrate one of the best things that happened in the sixties. 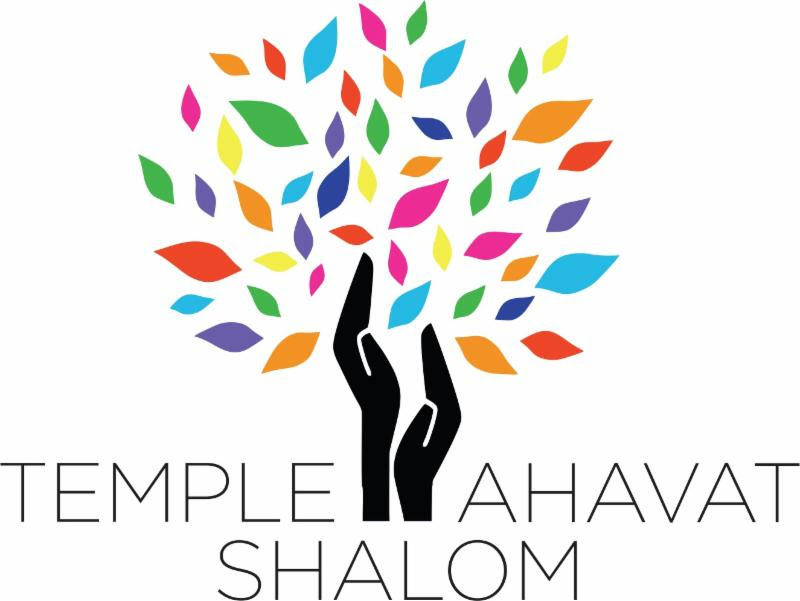 This special Shabbabaque will feature a celebratory summer TAS Shabbat service with a barbeque dinner cooked by the Men of Temple Ahavat Shalom. Shabbabaque starts with an outdoor service in the TAS amphitheatre at 6:15pm, featuring music from the TAS House Band. This is followed at 7:15pm by a delicious barbeque dinner. The menu typically includes chicken, burgers, hot dogs, and veggie burgers, along with Caesar salad (no chicken in the salad), plus all the sides. Afterwards, there will be sixties dancing, games from the sixties, and a wonderful Sisterhood oneg (they may even have brownies). There will also be a costume contest. Registration is now open at http://shab-bbq.tasnorthridge-motas.org/. For this special Shabbabaque, the cost is $8 for children 11 and under, and $12 for adults. The price goes up $5 at 6:00 pm on Wednesday, August 19, 2015, so get your reservations in early. On Sunday, August 30th, join the Men of Temple Ahavat Shalom starting at 8:45 AM in the Social Hall as we host our traditional Pancake Breakfast for the first day of religious school. The cost is low — $5 for pancakes, $1 for juice/coffee only, and free for teachers and new school families enrolling their first child in the school. The morning provides you the opportunity to learn about the different ways to get involved with TAS and strengthen that relationship. As parents, we are the role models for our children. If we get involved with the synagogue, we’re demonstrating to our children the value of involvement. Please note the special date: The Pancake Breakfast is early due to the High Holy Days. The first day of instruction for the Religious School is Sunday, September 20th – and we look forward to seeing you at our first speakers meeting on that day. If you would like to volunteer to help at the Pancake Breakfast, please contact Joel Lowell at 818/832-1525 or email joel.lowell@gmail.com. You can also RSVP online at http://tinyurl.com/motas-pancake-2015 . Summer is Football Squares season! It’s an easy way to support TAS and possibly win a little back. $50 gets you a random square on the board, where randomized rows and columns have the digits 0 through 9. During Monday Night Football season, match the last digit of the home and away team scores in a quarter and win! More information, complete rules, online signup, and signup forms are available at http://squares.tasnorthridge-motas.org, or contact Bob Levine (818-271-1282, tasboblevine@gmail.com) or Kathy Pullman (gridmaven@tasnorthridge-motas.org). Forms are also available in the Temple Foyer. Funds raised by the Sports Squares programs are used to fund specific needs that are often unfunded, and expenditures are distinct from MoTAS’ general fund contributions. Registration closes at 6:00 PM on Friday, September 11.